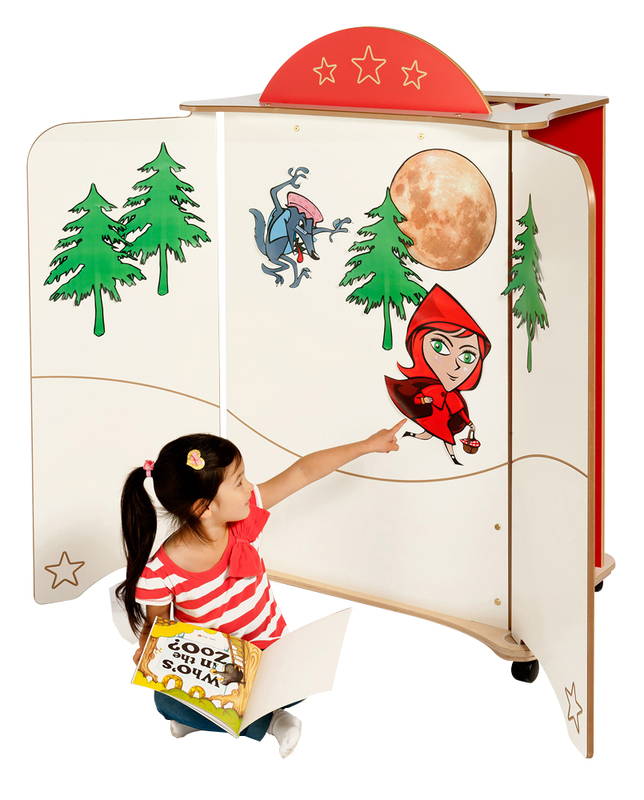 The stage school dressing up trolley features a ‘front stage’ and ‘backstage’ area complete with two mirrors, three large dry wipe surfaces and a chalkboard panel. The two hanging rails and storage box provide plenty of storage for your school or nursery fancy dress outfits and props. 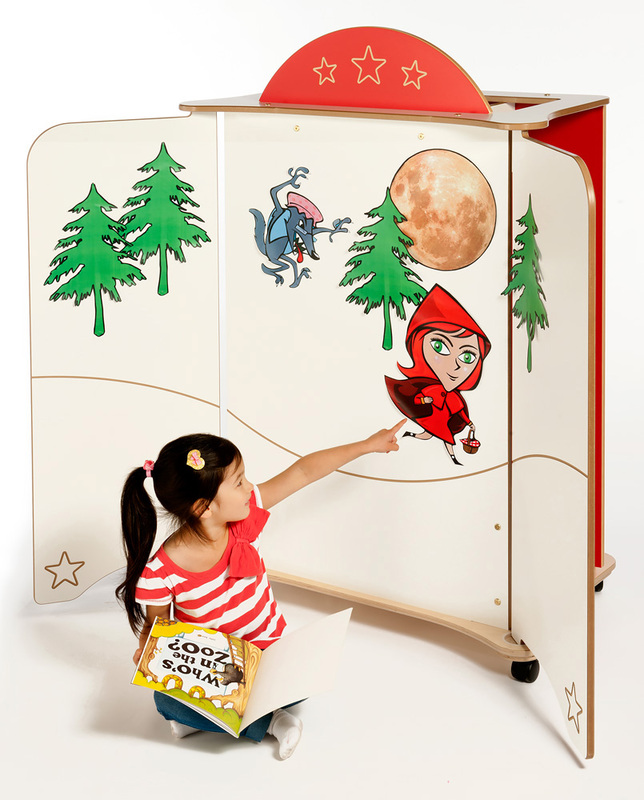 The uniquely designed trolley opens out to create a dry wipe stage area allowing children to put on performances on their own or in groups to the whole class. The dry wipe backdrop is also great for getting kids involved with reading. The stage school dress up trolley features four multi-directional castors which makes it easier for the unit to be transported freely and stored. For a safe early learning environment anti-finger trap hinges are also included. Please note: the children’s fancy dress outfits and props featured in the product images are not included with the stage school dressing up trolley. For more information please Contact Us or call us on 01733 511121.